Can [insert name here] be the new Silicon Valley? There are a lot of reasons but I won’t go into them now, another post for another time. It’s our attitude to change that will shape our job survival. With great sadness the news came out of Coleraine today with regards to the DVA laying off jobs which will move to Swansea. Devastating, yes. Surprising, I’m sorry to say not. While politicians lobbied to retain the jobs in Coleraine, and will continue to do so, the landscape of vehicle taxing was shifting under their feet. What it harshly reminds us is that while we are all wanting our lives to be streamlined, whether that be online, via the phone or to our locality there are naturally repercussions to our actions. With the tax discs the writing was on the wall when their scrapping was announced in December 2013. The centralised nature of information in regards to motoring was already in place, a date for tax, insurance and MOT is already stored. IBM had the technical aspects in place from 2005 and was slowly being refined. By rights this could be automated pretty easy, with Swansea already looking after 42 million records the ingestion of NI driver data would a simple transfer. Like myself and others have said for a long time: if it can be automated, it will be automated. The issue, not just to DVA, to any organisation is providing long term owner value regardless if this is a government department or a private business. So as time goes on process is refined and eventually the manpower required to do process tasks will decrease. With computing power the way it is now automated tasks are done quickly, efficiently (most of the time). Our aim? To make ourselves essential and recession proof. This basically means a constant refinement of skills over a period of time. Standing still is now a luxury we cannot afford, that even goes for software developers who think they’re in a great place right now. The sands can shift very quickly from under your feet while you’re not watching. My worry is that Coleraine, and it’s knock on effects, are just the tip of the iceberg. Our ideas, creativity and efforts all count now. Collaboration, unity and a suite of products that we can sell outside of Northern Ireland will be key to the economy. Yes, we’re doing great with TV at the moment but what happens when the series is cancelled? In the words of Tackhead: What’s my mission now? Now what? Dear NI – Does #SXSW shoulder rubbing actually pay off? I’ve spent the last couple of days watching #SXSW tweets passing my timeline and the overriding sentiment is that it’s lost its shine a little. Turn to the tech press and the message seems to be that startups are staying away while the big lads come in with their large marketing initiatives and private parties. So this all begs the question, is it really worth going. I had a conversation with a trusted voice and mind a few days before they left for Austin and gave me a quick run down of some of the companies going, I’m not going to name names but I was left very surprised. Most have no need to be there, for them it’s probably party time at someone else’s expense. From an entrepreneur’s point of view statistically it’s impossible to network on the scale of numbers. 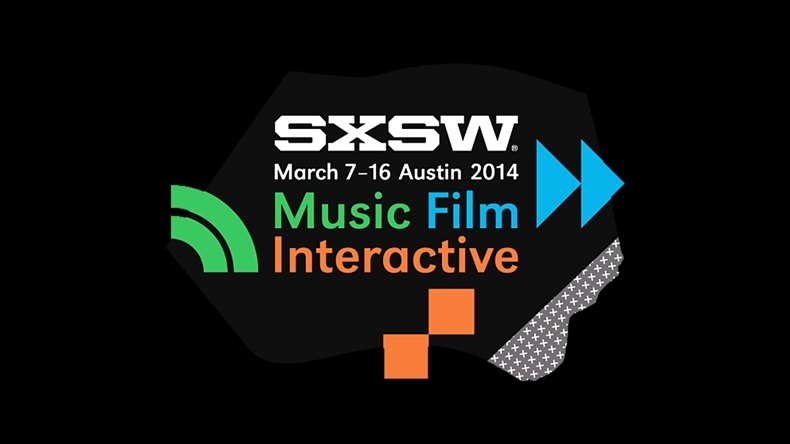 Estimates bring 2014 SXSW Interactive at just over 30,000. In a euphoric state you’ll pitch your thing to anyone who’s willing to listen. So even assuming you’re a workaholic talking to one person every fifteen minutes 16 hours straight for four days you’ll only cover 0.8% of the attendees. The best place for you is to present or keynote. If you’re there then your hit rate increases dramatically but only scraping the surface of what’s addressable. Kudos to Kainos for presenting at #SXSWEdu but I didn’t see the sessions listed on the main site which was a shame. Over the last four or five years I’ve gone from idealist to realist. In 2014 my thoughts have turned to what I could possibly support in Northern Ireland. We’ve got DigitalCircle and our own SXSW by way of @culturetechfest in September and a host of things going on in Belfast too. Coderdojo‘s all over the province, #Bloc54 supporting and encouraging the games industries and Women Who Code. There’s enough work to do here than travel 4619 miles to Austin. Of course all of this doesn’t matter when someone else is footing the bill but the question remains, if it was your money would you do it at all? Does the tax payer ever get an update of the positive outcomes of the public money spent on getting you to a large party (remember, perception is everything). Keep this fact in mind, I believe that investors are location sensitive. The greater distance between investor and founder the greater the mistrust and risk levels rise. Hence securing funding within the locality is far easier but possibly more costly in terms of equity. So while you want to believe you might get funding while you’re out there with your shiny startup the reality is you’ll come back with one expensive hangover and jet lag. Hopefully you won’t have missed sales while you were away.